*The product was awarded Second Prize in the Open International Competition for Alternative Layout Designs in Standard Housing for Russia. Which was organized by the Russian Ministry of Construction, Industry, Housing and Utilities, together with the Unified Development Institution in the Housing Sector/ DOM R.F. and Strelka KB. In our cities, there has traditionally been a clear and significant distinction between what was public and what was private. This difference used to define the urban and the domestic realm. In a conventional model of the city, urbanity has usually meant public and domesticity has generally meant private. However, nowadays, in a historical period characterized by social transformations, continuous technological improvements and political uncertainties, our contemporary cities are much more complex. Our societies are evolving in a way where the traditional concepts of urban and domestic are becoming obsolete ad are being transformed into updated and augmented conceptions. It is precisely around those blurring limits, between what seems urban and what seems domestic, where the new contemporary public realm is constructed. 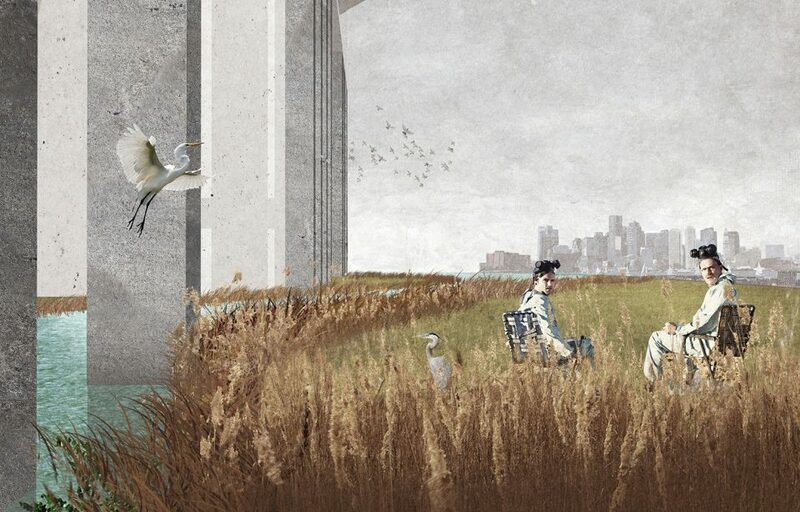 This proposal is based on the exploration of those uncertain boundaries. 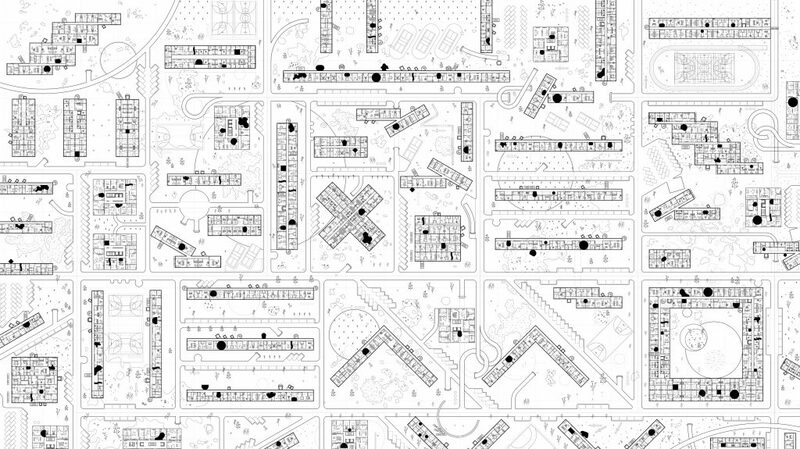 Trying to achieve a gradient of spaces where urban and domestic are not so clearly delimited but colonize each other, when certain public uses and programs are developed within the Dwelling Block. When the urban realm in introduced into the Residential Building transforming its paradigm. Therefore, Urbanity and Domesticity would benefit from each other in a continuous relation of dialogue. One of the main aspects of this proposal is the incorporation of what we have called ‘Social Pockets’ into each different housing block. Those ‘Social Pockets’ are specific Public Spaces that are introduced into the buil- dings and that generate an extension of the urban space of the city into the block. Each of them corresponds to specific urban and public programs related with culture, sports, economy, social behaviors, production and small entrepreneurship. Each of them is formalized in a different way and introduced into the urban block deforming and modifying it. Transforming it domestic into a urban one. In this proposal, the housing block is not reduced to its domestic and private ethos but is augmented and expan- ded into the city, achieving a social value of gathering, dialogue, production and exchange. Therefore, those public programs that have traditionally just being emplaced in specific and separate buildings within the urban framework, are now exploded, introduced and hybridized with the housing mass of apart- ments that constitute the biggest percentage of constructed architecture in our cities. These ‘Social Pockets’ are not isolated islands of public programs within the dwelling blocks, but a real ne- twork of related uses that complement and counterpoint each other, providing the necessary public features for the citizens and allowing to construct an innovative urban realm. They act as an ‘Exploded Social Condenser’ for the local communities, creating not just the architectures that shelter certain public uses but also providing the tools and mechanisms to develop such an expansion of the urban space. Finally, the creation of such a network of Public Spaces within the apartments’buildings take into consideration the extreme weather conditions during winter of many Russian cities. When the exterior public space cannot be easily experienced and enjoyed but the citizens and many activities tend to be developed within interiors. This proposal analyzes that very condition of the Russian City and explores it, incorporating its basic architectural mechanism when generating those ‘Social Pockets’ for the performance of Public Programs within the blocks. A performance of urbanity within domesticity. This project proposes a migration of some features of the exterior urban space into the interiors, sheltering from the cold weather and widening a huge range of possibilities for the users. What if now the park is in the 5th floor of the block? What if now the playground is located on the 7th floor of a Tower? How would we experience such urban realm, designed in a more controlled and sophisticated way? The answers to theses questions rely on the architectural and urban designs of this project. On the social im- plications of their geometries. On the transformation of the conception of public space in the contemporary metropolis. And on the radical change of paradigm of such a city. 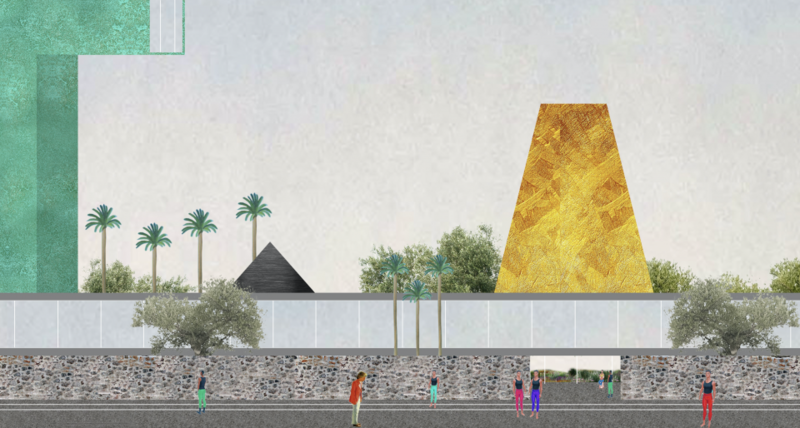 This proposal is based on the exploration of those uncertain boundaries. Trying to achieve a gradient of spaces where urban and domestic are not so clearly delimited but colonize each other. 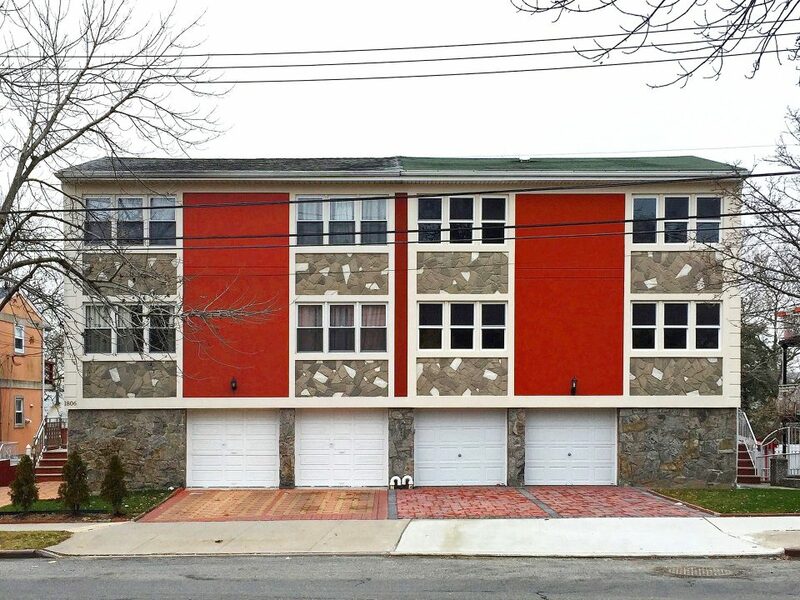 Certain public uses and programs are developed within the Dwelling Block. Therefore, Urbanity and Domesticity would benefit from each other in a continuous relation of dialogue. How does it address a global condition? Nowadays, in a historical period characterized by social transformations, continuous technological improvements and political uncertainties, our contemporary cities are much more complex. Our societies are evolving in a way where the traditional concepts of urban and domestic are becoming obsolete and are being transformed into updated and augmented conceptions. It is precisely around those blurring limits, between what seems urban and what seems domestic, where the new contemporary public realm is constructed. Though being materialized through manifold local situations, this uncertain condition of blurred urban/domestic limits is everyday a more global condition, that affects the way that publicness is constructed in our societies through new and unexpected architectural, social, economical and cultural mechanisms. This project addresses that very condition, that necessity for mediation between two realms that are not so separated from each other anymore. What informed the choice and positioning of the different social pockets you choose to insert? One of the main aspects of this proposal is the incorporation of what we have called ‘Social Pockets’ into each different housing block. These ‘Social Pockets’ are specific Public Spaces that are introduced into the buildings and that generate an extension of the urban space of the city into the block. Each of them corresponds to specific urban and public programs related with culture, sports, economy, social behaviors, production and small entrepreneurship. Each of them is formalized in a different way and introduced into the urban block deforming and modifying it. They act as an ‘Exploded Social Condenser’ for the local communities, creating not just the architectures that shelter certain public uses but also providing the tools and mechanisms to develop such an expansion of the urban space. Working as a real network of related uses that complement and counterpoint each other, the housing is augmented and expanded into the city, achieving a social value of gathering, dialogue, production and exchange. How do their forms respond to the function or the surrounding contact where it is inserted? 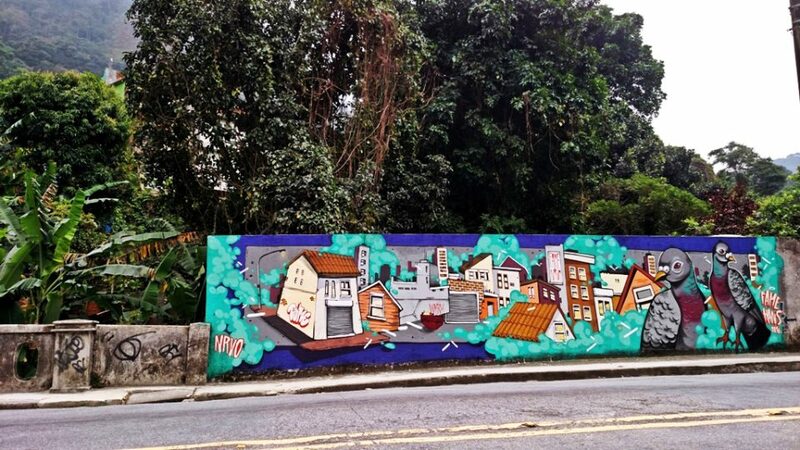 Those ‘Social Pockets’ are not isolated islands of public programs within the dwelling blocks, but a real network of related uses that complement and counterpoint each other, providing the necessary public features for the citizens and allowing to construct an innovative urban realm. 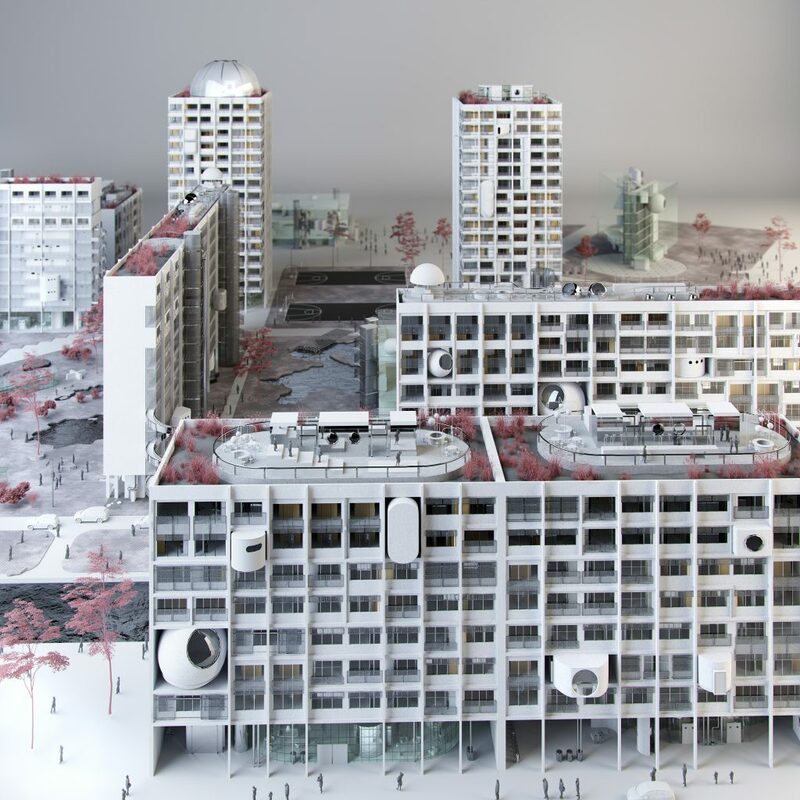 This project tries to achieve a sort of standardized architectural model that is able to incorporate urban spaces into the highly congested mass of the Housing Blocks. Responding to the structural module, these exchangeable pockets are always plugged into a core of communications and facilities. The creation of such a network of Public Spaces within the apartments’ buildings take into consideration the extreme weather conditions during winter of many Russian cities. When the exterior public space cannot be easily experienced and enjoyed but the citizens and many activities tend to be developed within interiors. This proposal analyzes that very condition of the Russian City and explores it, incorporating its basic architectural mechanism. How will these develop and morph through time? The architectural definition of those Social Pockets is approached by qualifying architectural conditions instead of quantifying them. 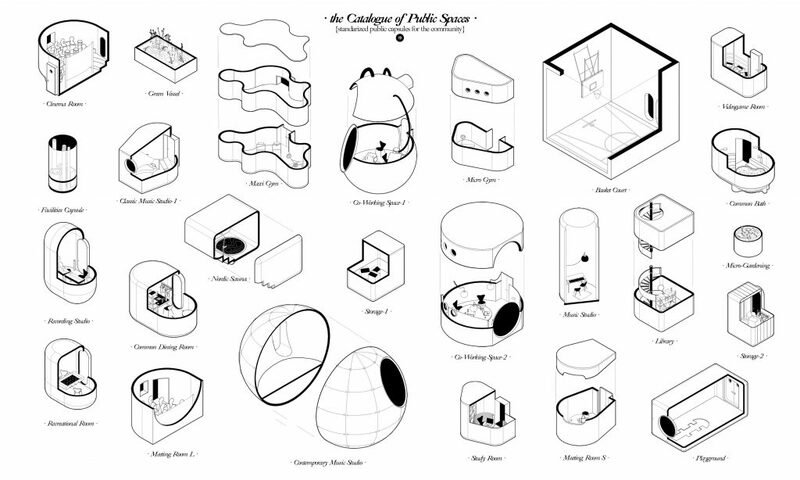 For instance, instead of defining pragmatically a Music Studio, a Micro-Cinema or a Gym, we have designed a cozy-soft-dark spheric capsule, a stepped wooden semicircular room or an open neat plastic permeable box. Those architectural qualities respond to a series of possible uses, but they are not restricted to them. Spaces can be appropriated by the citizens and used in several different ways through time, achieving an adaptable architectural scheme. How do you envision the project developing in twenty years time? The whole project embraces efficiency strategies for its construction and standardization, as well as for its adaptability and versatility to be implemented or developed in different contexts and emplacements. 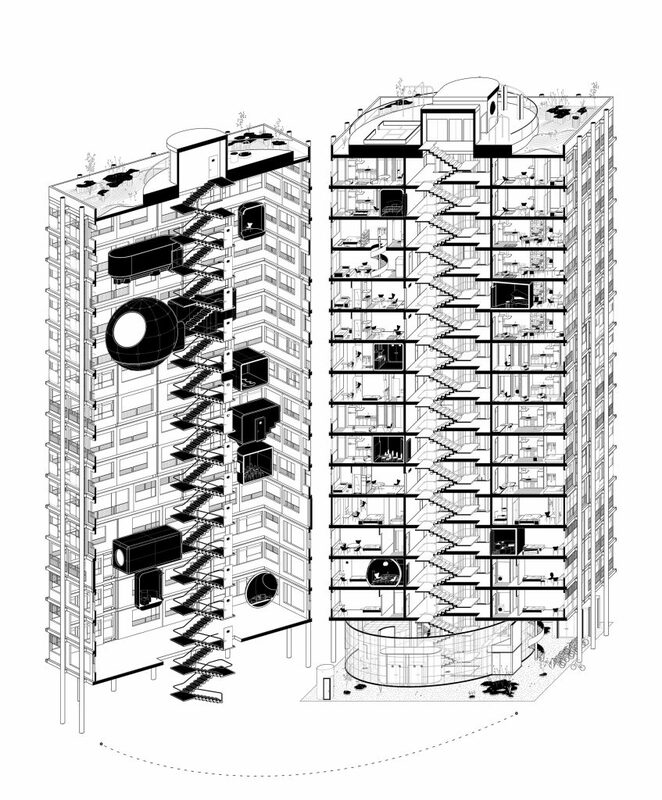 In this sense, the Public Common Spaces that coexist within the building with the Apartment Matrix, are designed as standardized capsules that are fabricated in warehouse and then rapidly installed as Plug In elements. According to future requirements of the community, they could be substituted afterwards for other capsules more convenient by that time and that would accommodate different uses. Hence, this project proposes a migration of some features of the exterior urban space into the interiors, sheltering from the cold weather and widening a huge range of possibilities for the users. Especially to the younger and elder ones, those who suffer more when, for instance, they cannot play longer in the streets when the weather is too tough or they cannot sit on the park. What if now the park is in the 5th floor of the block? What if now the playground is located on the 7th floor of a Tower? How would we experience such urban realm, designed in a more controlled and sophisticated way? The answers to these questions rely on the architectural and urban designs of this project. On the social implications of their geometries. On the transformation of the conception of public space in the contemporary metropolis. And on the radical change of paradigm of such a city. How and to what extent has the realm of the digital affected this shift between public and private spheres? The impact of Digital culture within our societies has not just changed the hierarchy of knowledge distribution but also the hierarchy of space appropriation and use. Our cities are everyday more a chaotic and exquisite blur of publicness and privateness where innumerable new urban and architectural strategies emerge. Our cities are defined from the spaces where we live in. 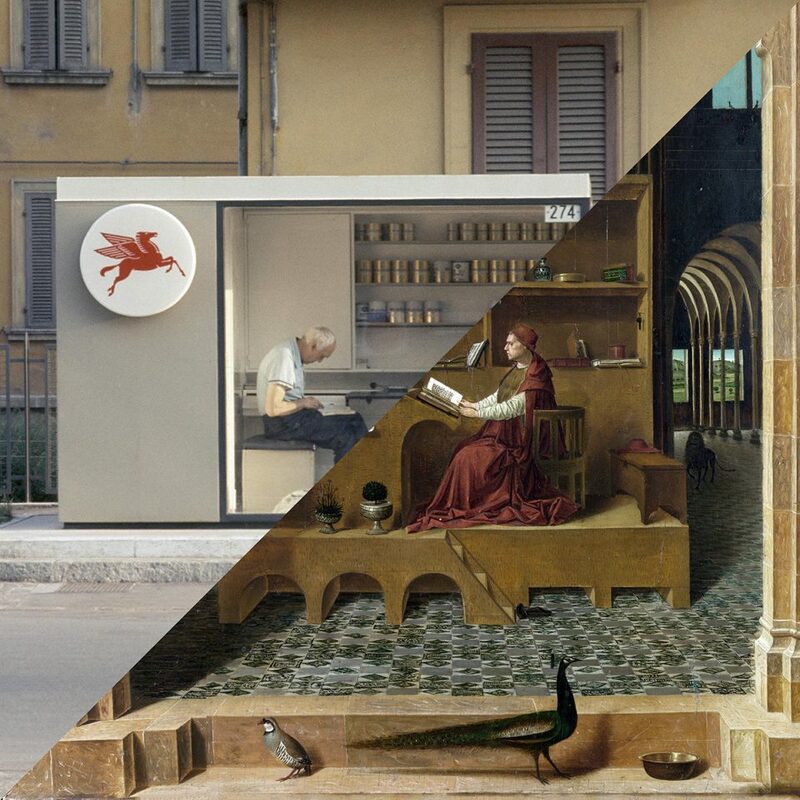 Both domestic and urban realms are the spatialization of our societies, of their citizens’ lives and of their social behaviors, which have been radically transformed by the increasing realm of a post-human culture that derives from the rise of the digital. When defining the basic modules for living, a consideration to the huge variety of social profiles within that complex context should be taken. Furthermore, the different types of users could not be classified according just to quantitative features but instead to qualitative means. How do you address this within your project? For that purpose, we have worked with models of users and groups of users. In order to later design a typology of standard dwelling that would adapt to each of their necessities. Both these Models of Users and the Architectural Typology that corresponds them are not just defined in terms of quantities (number of users, age range, square meters, number of specific rooms, services, etc) but in terms of conditions and qualities that define them as citizens of our society. For example, such a Qualification of our Users would establish different models according to the grade labor stability, to the grade of compromise of a partnership, to the grade of independence within a family, or even to the possibility of growth or shirk of a family. The qualities of these groups of users are the ones that construct the daily bases that establish the rules for the definition of our urban an domestic realms. Both together, construct our cities. 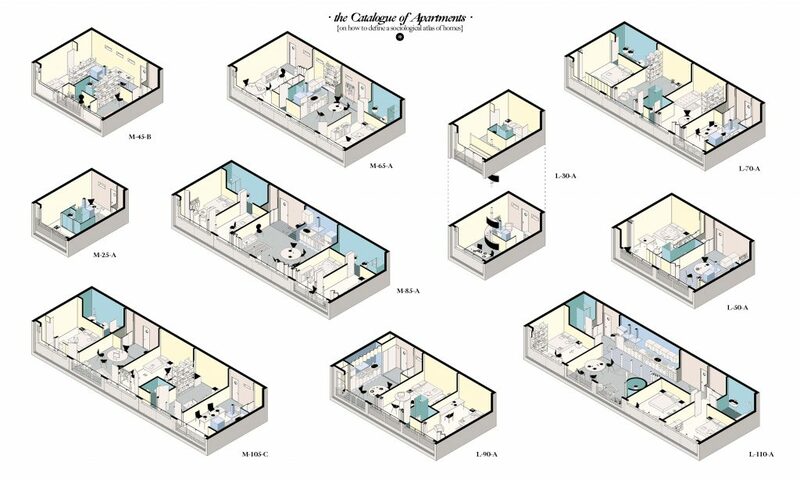 Hence, this proposal establishes a series of different Typologies of apartments that correspond to different models of users and groups of users. 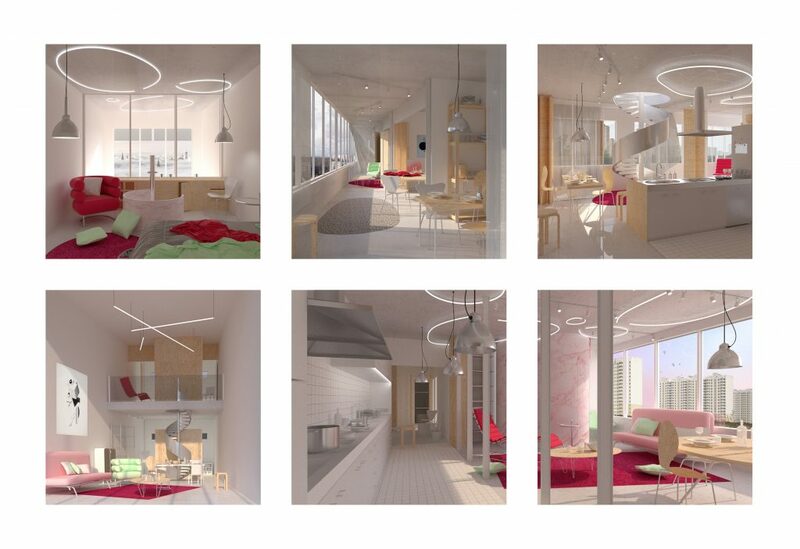 Each Typology materializes social features by means of architectural conditions: double floors with double entrance for independence, common spaces for socializing and sharing, bathrooms that become circulations, kitchens that behave as living rooms, etc. Those architectural conditions have been arranged in various combinations in order to achieve a contemporary, complex and real model for our societies requirements. And also for the upcoming needs, for those futurable situations that cannot be predicted but for which we can provide tools for adaptation. 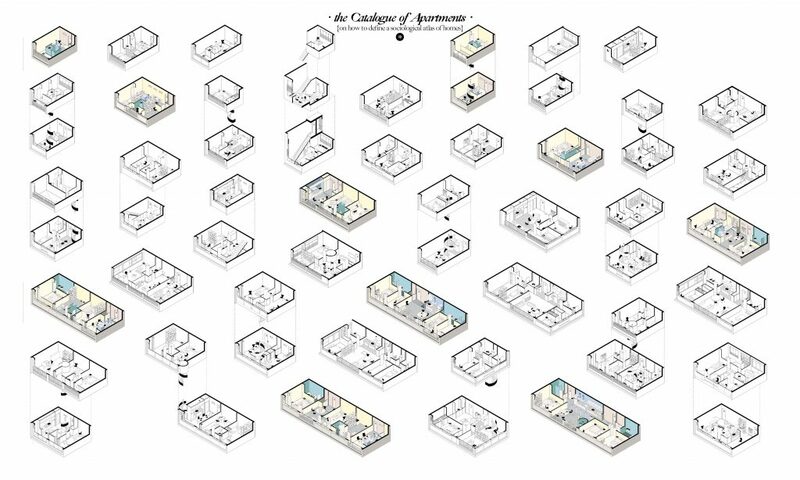 All in all, a Catalogue of Apartments whose different possibilities of combination generate the heterogeneous and hybrid blocks that are a reflection of our society. 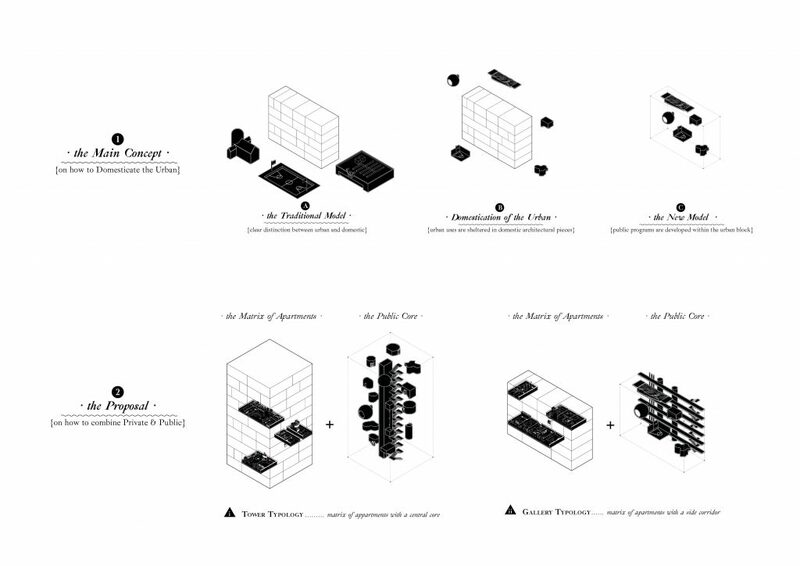 The combination and relation between these typologies within the urban block are an x-ray of our societies. What informed the different drawings through which you choose to reveal the project? The material produced is strictly what we thought utterly necessary for the full comprehension of the proposal. It ranges from: the material made to illustrate small parts and particular elements that build up the proposal; and more general material that shows the relations of said pieces as a whole. 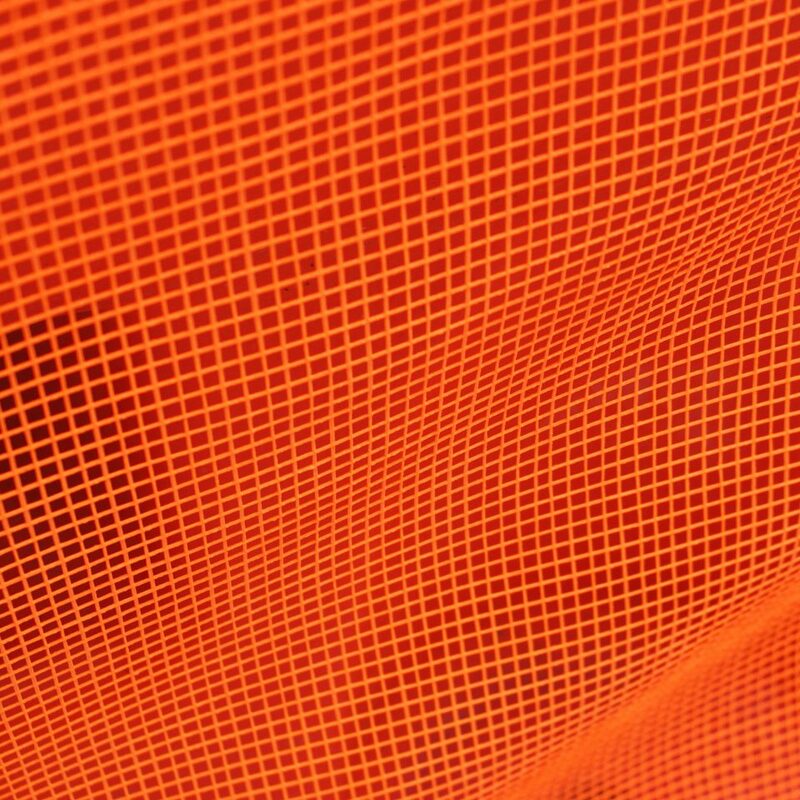 No extra material is produced. If the story of a piece can be told through an exploded deconstructed axonometry, then its elevation and section are not required because they are contained within the former. That material is consciously abstract. We deliberately produce abstract drawings much before having a clear idea of the whole. This allow us to progress into unexpected territories and usually we are surprised through the process of design by means of how the project evolves. What role do the exterior and interior views play? We conceived the images as complementary elements of the project. They are not just visual representations of the technical drawings that we produce, but instead, they are indeed desirable projections of our architectural intents. They work by means of addition; giving new value and information to the design. 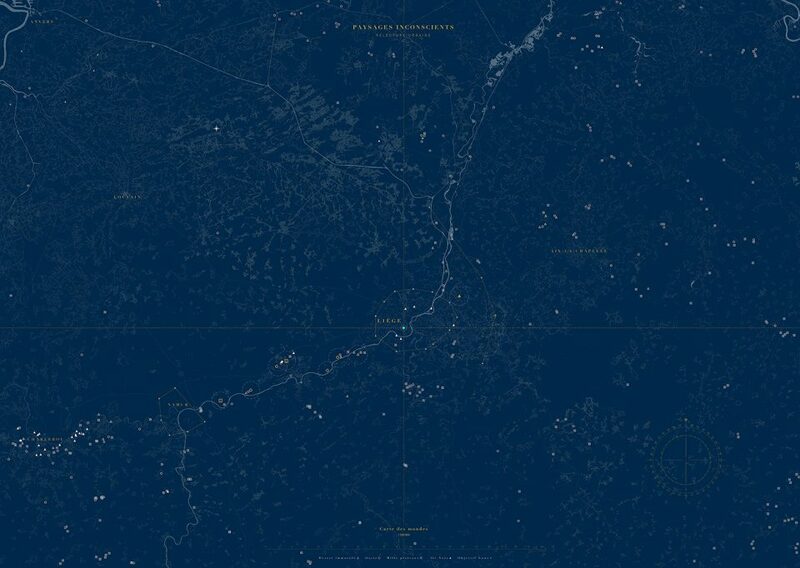 They are approached as as a projection tool not merely as a representation mechanism. The juxtaposition between interior and exterior images tries to solve the tension between private and public. It tries to explore that friction. They materialize the insertion of a Public Core into the private mass of apartments. That Public Core act as a Urban Spine that gathers three systems: the circulation, the facilities and the urban spaces. It solves three architectural requirements: firstly, providing vertical and horizontal communication to reach each apartment; secondly, distributing power, heating and water supplies; and finally arranging a series of complementary public spaces that shelter urban programs. Moreover it also behaves structurally, becoming the main structural system for the building. Such a Public Core is conceived as an extension of the urban space, almost as a street that flows up to the building and transform the traditional conception of the housing block. The rest is just dwelling, apartments with an open scheme of configurations. Through these images, the Void of the urban realm is contrasted with the mass of the Dwelling spaces. And moreover, the dreariness of everyday life, implemented by the amusement of urbanity. The tension amid both delimits the framework for the project. When talking about public pockets, what defined the absence of individuals within these images? The presence of individuals in those images is defined through the qualification of their architectures and technologies. 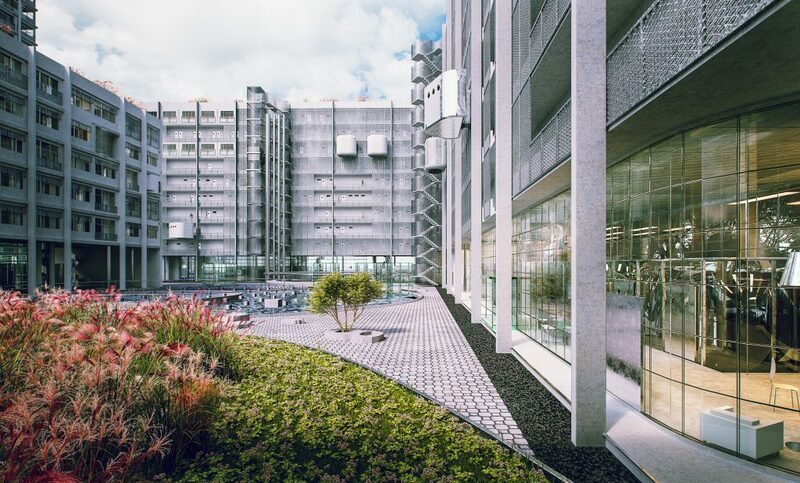 From decisions as simple as the spacial expression of them to the envision of the differences in the material cladding of the capsules and the equipment of diverse technologies, these spaces are qualified in different ways that allow opposed typologies of users to inhabit them. 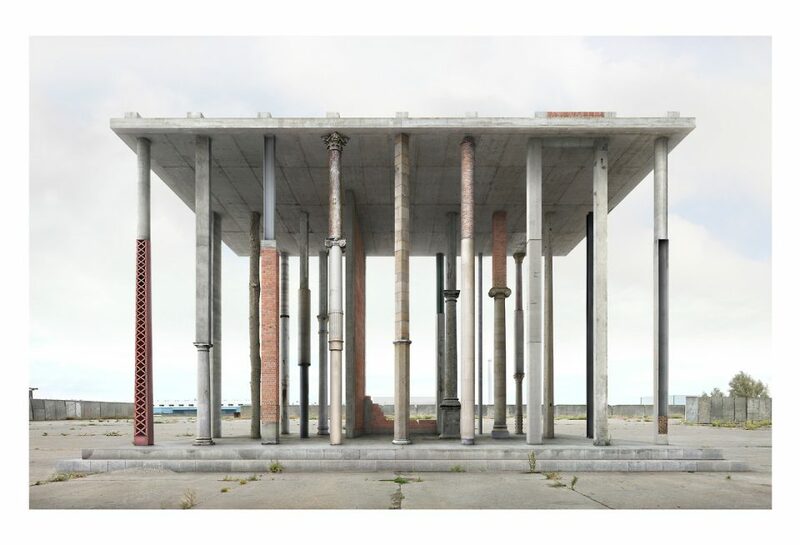 The representational presence of individuals in both axonometries and images is deliberately absent to emphasize on the architectural qualification of those spaces. We live in extremely cynical times; wandering too much serious through a sea of delicious triviality. In one of his most memorable quotes, Oscar Wilde claimed that ‘We should treat all the trivial things of life seriously, and all the serious things of life with sincere and studied triviality’. Nowadays it seems like an even more relevant cultural attitude than then. Through sarcasm we are able to explore social contradictions and assume them, we are able to mix juxtaposed cultural realms without prejudges of ideological coherency. What questions does the project raise? 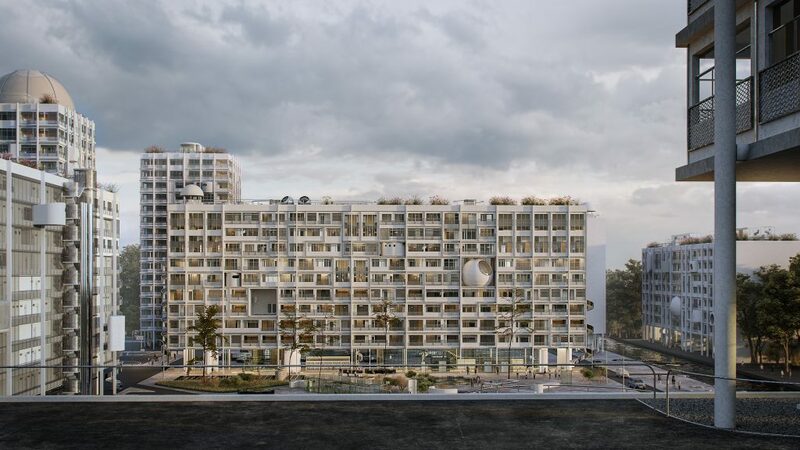 For us, the interest of the project relies on its intent to address to some uncomfortable inquiries that might question the conventional typologies of housing. In fact, we tend to work much more setting out questions rather than answering to them; as we believe that architecture is not always a mean or solution to a certain problem but a set of tools that might empower certain agents or question certain contexts in other to change an existing reality. That ethos of change, of transformation, of social construction is triggered through the construction of questions. Has there been a change of paradigm in our urbanism when private and public have no clear boundaries anymore? What new architecture typology arises from such a new paradigm, if any? If for centuries, housing has been the niche of privacy per excellence, how would it be affected by the recent changes in society by which domestic and urban sphere are everyday more and more connected? What is for you the power of the drawings as unique site where this speculation exists? Drawings are constructions. Through these abstract tools we approach reality and aim to transform, modify or conserve it. Drawings act as navigation charts that allow us to navigate through the social, urban and cultural contexts that we try to design. They are informational documents that offer us the frameworks to make decisions, to dialogue or to question the architectural conditions behind a project. In that sense, the abstraction that offers the two dimensional line drawing help us to constantly read a document in different ways. It is somehow similar than the process of composing and writing music. 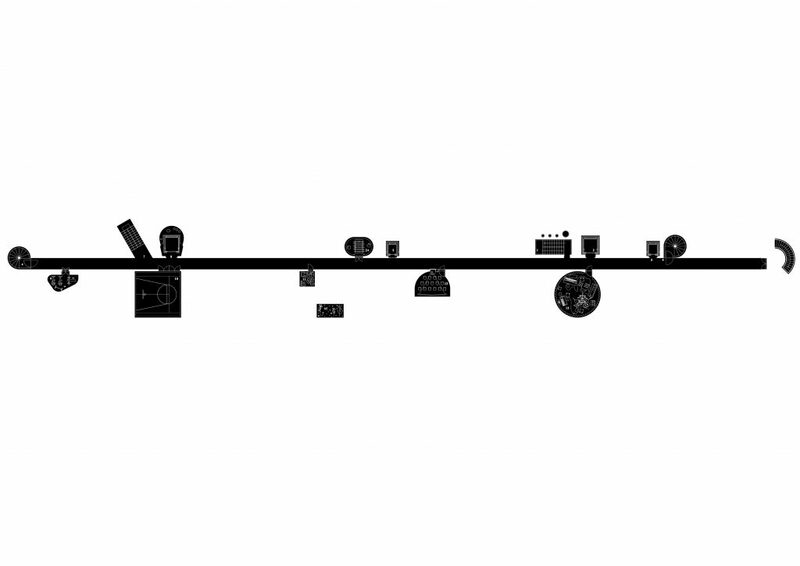 The abstraction of the musical score works in an analogous way to the architectural plan. They are not representations of a cultural product, but instead guidelines for the construction of it. They are tools that empower the user. Pedro Pitarch, is architect (ETSAM, UPM, 2014) and contem- porary musician (COM Caceres, 2008). His work has been exhibited at the 16th Venice Architecture Biennale, 4th Lisbon Architecture Triennale, Architectus Omni- bus, 9th EME3 and 2016 Vienna Design Week. He has received Prizes and Mentions in several International Competitions such as Second Prize in Dom Competition (Russia, 2018), Second Prize for ‘New Cyprus Museum’ (Cyprus, 2017), First Prize for Clesa Building Restoration (Madrid, 2015), Ste- edman Fellowship 2017-2018 (USA, 2017), Honour Mention at ARCOmadrid2016 VIProom. 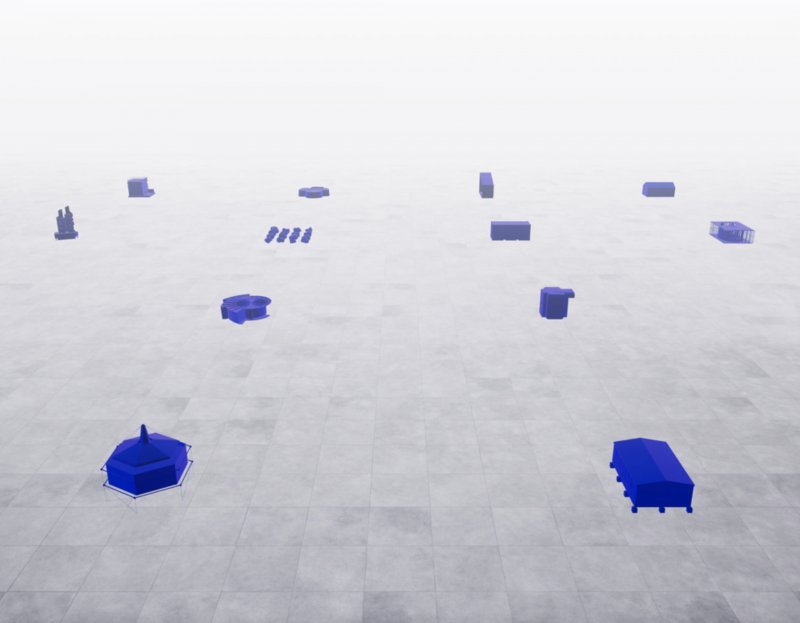 He has been shortlisted for the Debut Award of the IV Lisbon Triennale of Architecture. He is Teaching Fellow in Architectural Design at the Bartlett School of Architecture (University College of London), tea- ching at the UG-10 of the BSc Architecture (ARB/RIBA Part1). He has previously worked for OMA, Federico Soriano (S&Aa) and Burgos+Garrido. His projects and writings have been published in several maga- zines and platforms such as Domus, Arquitectura Viva, Pasajes, El País, Archdaily or Plataforma Arquitectura. He wanders in a somewhat tangential position to architectural practice, focusing on the interrelations between contemporary culture production and the construction of societies.